Netgear has launched a new mobile hotspot AirCard 810 on the market. The device has been shown in January at the Consumer Electronics Show (CES) in Las Vegas. 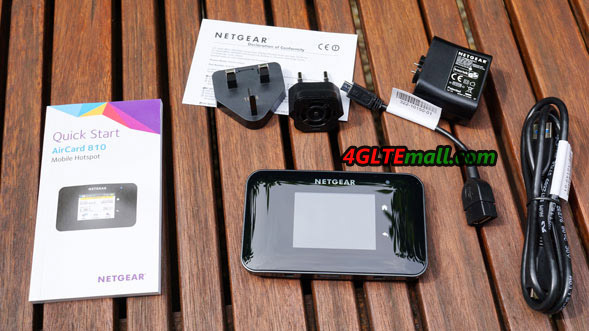 Now it is also available in this Australia for the network provider Telstra and named Telstra WiFi 4G Advanced III, and Netgear 810 is visually similar to its predecessor Netgear AirCard 790. However, the new model Netgear AC810S has some additional features that we will test in more detail. The most important change is the support for LTE Cat. 11, which means the mobile Wi-Fi hotspot can support mobile data transfers at up to 600 Mbit/s, a speed that the bundling of three 20MHz and distribute a UMTS or LTE-based Internet access to up to 15 devices. Thus, the aircard 810 is currently the fastest mobile hotspot on the market. In many countries, such high speeds of the mobile network are not yet available. However, the current mainstream providers offer top speeds of 300 or 225 Mbit/s over 4G networks, which achieve higher maximum data rates for mobile Internet access. Now Netgear AirCard 810 seems to be a corresponding future-proof device. However, the aircard 810 is not perfect actually. Although top speeds over LTE are made ​​possible and also in the UMTS networks downstream possible speeds are up to 42 Mbit/s due to DC-HSPA technology, netgear 810s can’t access to the GSM, GPRS and EDGE networks. The 2G access should be at least a basic supply for use in geographic areas, where simply no UMTS or LTE expansion exists. The distribution of an already very slow Internet access via WiFi to multiple other devices is certainly less sensible. The Netgear AC810S router can be but also connect directly via USB to a computer and then used as a wired modem for internet access. Another interesting innovation compared with the Netgear AirCard 790 is the ability to not only redistribute a mobile Internet access, but also an existing wireless network. The Aircard 810 router can ensure for better reception as a repeater, especially work as a hotel hotspot and similar Internet-access distributed over several devices. A big advantage over Aircard 810s mobile hotspots from other manufacturers is the ability to make many settings directly via the touchscreen. Quick SSID or change the password? No problem. After inserting a new SIM, the Internet settings do not have to be entered manually. This could also do directly on the touch screen. The Netgear 810 touchscreen dimensions of 112 x 69 x 15.5 millimeter are also one of the main criticisms over its predecessor: The display reflects very strong. It also takes fingerprints on unusually strong, which looks ugly if intensity of use and you do not wipe the screen clean repeatedly. About the screen, the most important is that not all operating steps for Netgear AirCard 810 are accessible. Those who need access to all settings can use the web frontend via the Internet browser of a connected computer. 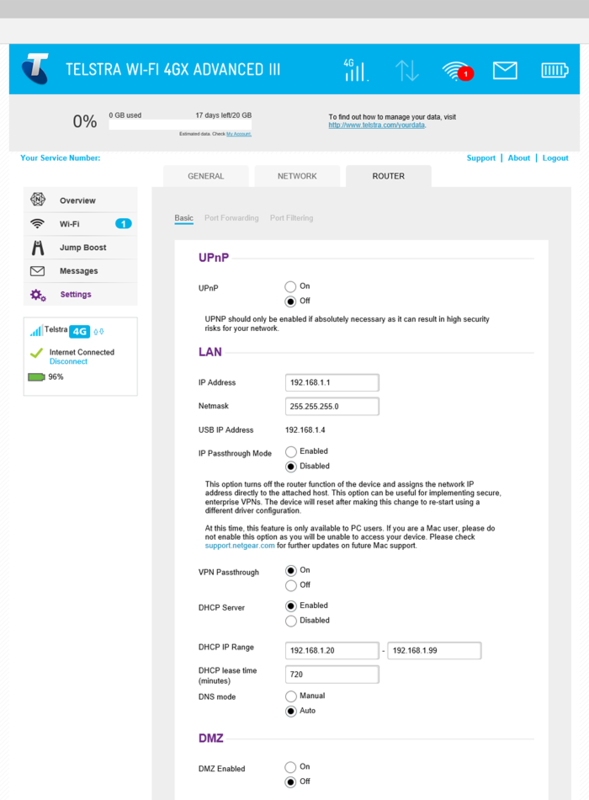 Here, for example, Wi-Fi hotspots also can be set to be redistributed to the Netgear handheld. Once set, the AirCard 810 automatically uses one of the configured hotspots instead of UMTS or LTE as soon as one of the wireless access is received. 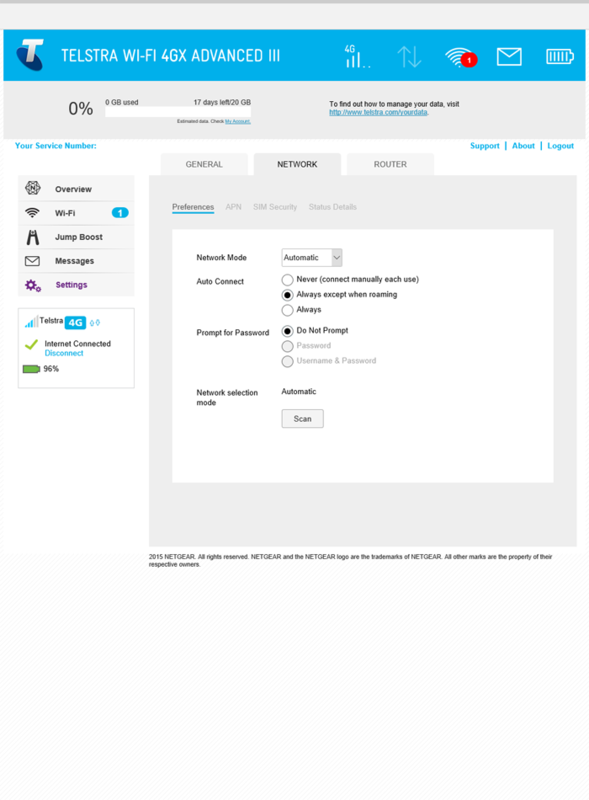 Another possibility to adjust the configuration of the Netgear aircard 810 router is the Netgear APP. 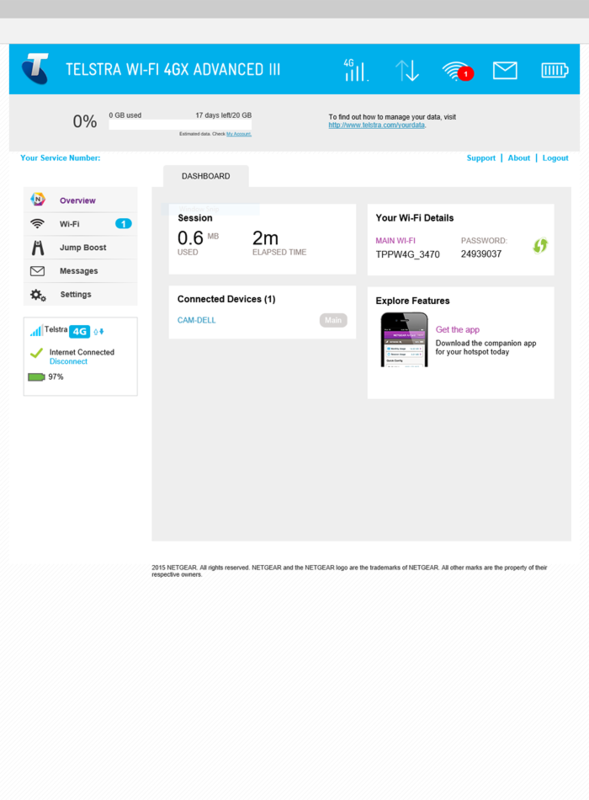 Netgear offers Mobile Apps for Android, iOS and Windows Phone. Network access is naturally only possible if the smartphone or tablet is connected to the mobile hotspot. The Netgear AirCard 810 weighs 132 grams, making it even four grams lighter than its predecessor. Above all, the device is easier to handle and lighter than many current smartphones. The handheld is completely pocket-fit. It is important to remember that cell phone coverage and wireless range suffer if the unit is operated close to the body. 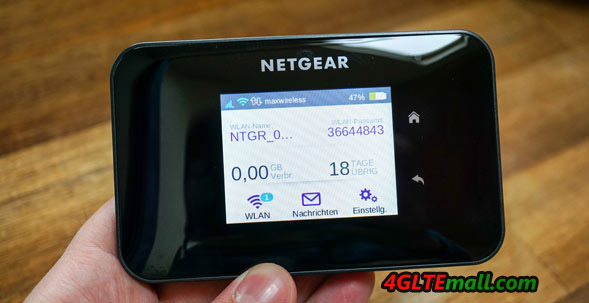 We have tested the Netgear AirCard 810 in mobile networks. The reception was well in both LTE and the UMTS field network. By eliminating the 2G, the Aircard 810 router connection has often still held to UMTS or LTE network in less-served regions, without the need for manual adjustments. In LTE 1800 network, we came up data transfer rates of 120 Mbit/s downstream. This is a good value. But we could not test Carrier aggregation at 1800 and 2600 MHz. 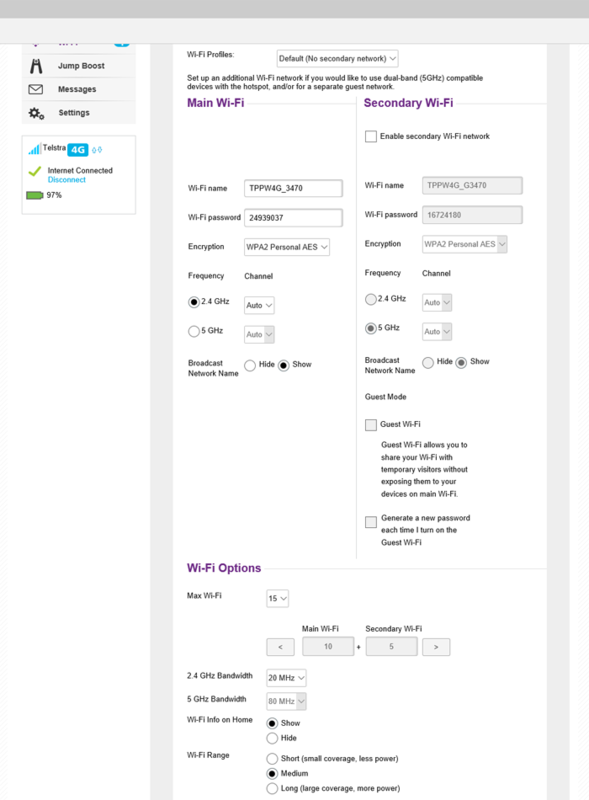 The Netgear AC810S router sends the default wireless frequency range of 2.4 GHz, as an option, 5 GHz is also available. Moreover, it is possible to establish also a guest mode. Compounds can be easily prepared by WPS. 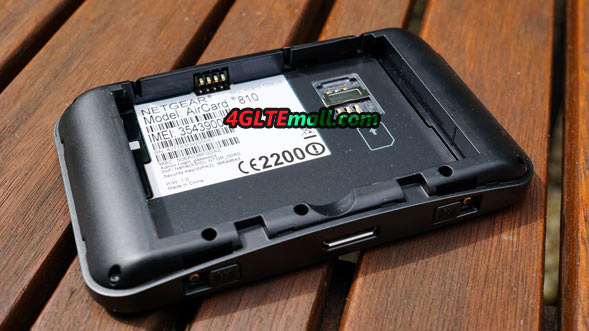 The range of the hotspot is considerably higher than that of the Huawei E5372, which we used for comparison. 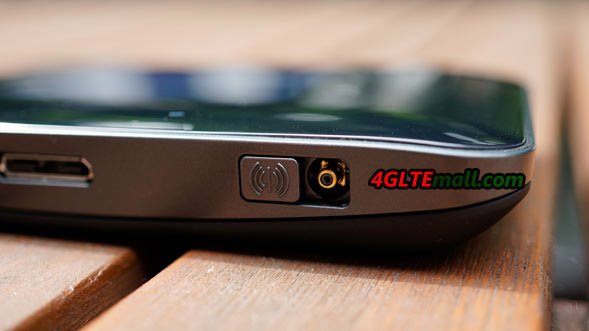 It is important to remember that it is not a very recent model of the Huawei MiFi. The battery of the Netgear 810s hotspots has a capacity of 2930 mAh. The manufacturer promises eleven hours operating time. We have achieved more than ten hours in practice. Particularly pleasing: Unlike many competitors, aircard 810 allows the battery exchange also. Also interesting is the possibility to use the mobile hotspot as a battery pack, such as a smartphone entrained recharge. 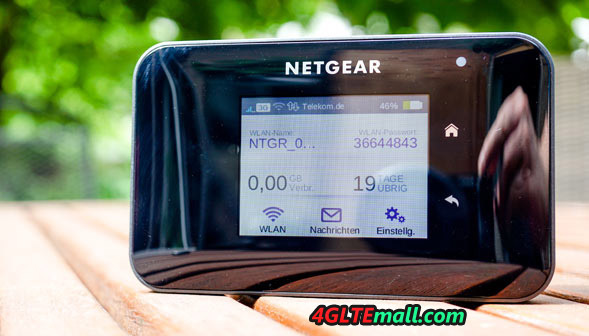 The Netgear AirCard 810 is not cheap now at www.4gltemall.com. This is a device that has convinced functions during the test even after long hours of continuous operation and thanks to LTE Cat. 11, the technology dominates the near future. The MiFi is well made and is pocket-fit. If required, connect an external antenna. The pity is the lack of GPRS and EDGE. Another criticism is the supported LTE frequency ranges. Although all common in Europe bands are covered, it lacks some LTE frequencies for the American market, so you may only use 3G network in American areas with the Aircard 810. But in all, the Aircard 810s is a very good mobile router to commend for travelling over the world.